A massive quake off the west coast of Indonesia sent fears across the country, prompting residents in coastal cities to rush to higher ground. A tsunami that followed a similar quake in 2004 killed nearly 230,000 people, most of them in Indonesia. 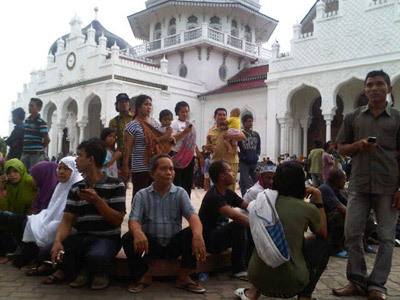 The Aceh region, which lost over 170,000 people in the 2004 disaster, was paralyzed with traffic jams soon after the first tremor on Wednesday, measured 8.6 magnitude. Chaos reigned in streets as many towns along the coast line were full of shoppers stocking up before the traditional New Year on Friday. Locals poured from their homes screaming “God is great” as they searched frantically for family members. "Sirens and Quran recitals from mosques are everywhere," said a spokesman for the Indonesia's disaster management agency. Patients ran out of hospitals, some with drips still attached to their arms. In schools, children were terrified as teachers started an evacuation. Timbang Pangaribuan told El Shinta radio a guest of his hotel was injured as he jumped from the window of his room. 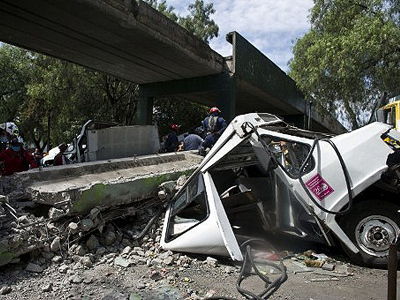 A strong 8.2 aftershock nearly three hours later sparked a new wave of panic. Electricity and telephone lines were down in several areas. Even more people fled the coast after the government issued a fresh tsunami warning. "What did we do to deserve this? What sins have we committed? I'm so scared, I don't want to lose my family again," cried Aisyah Husaini, clinging to her two children in a mosque in Banda Aceh, where hundreds of people sheltered. The woman, accoding to the Associated Press, lost both her parents and a son in the 2004 tsunami. Eventually, the tsunami warning was lifted. The highest wave which so far has rolled onto the country's coast is reported to be less than a meter high. But hours afterwards people were still standing outside their homes and offices, scared to go back inside. The big hits were followed by over 20 minor shakes, up to five per hour, says the US Geological Service. Later quakes were registered at 5.0 magnitude. The first 8.6-magnitude quake was centered about 30 km beneath the ocean floor around 430 km from Aceh province, says the US Geological Survey. 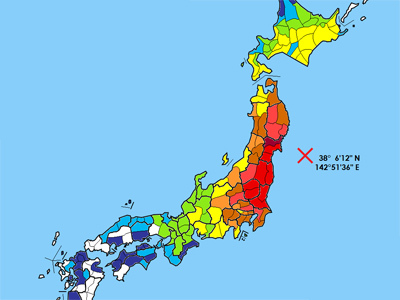 That prompted the Pacific Tsunami Warning Centre in Hawaii to issue a tsunami watch for Indonesia, India, Sri Lanka, Australia, Myanmar, Thailand, the Maldives and other Indian Ocean islands; Malaysia, Pakistan, Somalia, Oman, Iran, Bangladesh, Kenya, South Africa and Singapore. "Earthquakes of this size have the potential to generate a widespread destructive tsunami that can affect coastlines across the entire Indian Ocean basin," a warning from the PTWC reads. "Authorities in the region should take appropriate action in response to the possibility." In several hours the tsunami watch was lifted, though. 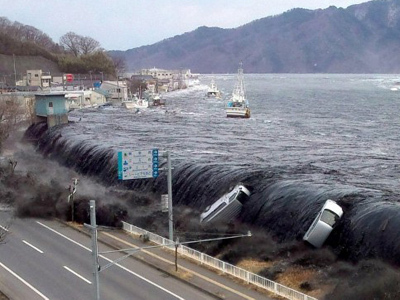 A tsunami watch means there is the potential for a tsunami, not that one is imminent. Tremors from the quakes have been felt in Singapore, Thailand, Malaysia and India. 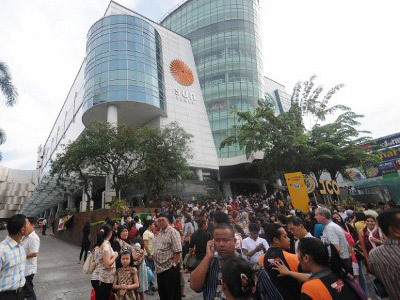 Witnesses said on Twitter that high-rise buildings and offices on Malaysia's west coast shook for at least a minute. India's port of Chennai shut after the quake, a local official told Reuters. Several thousand people were evacuated to higher ground from parts of India's Andaman and Nicobar islands. Indonesia's city of Banda Aceh, the capital of Aceh province on the northern tip of Sumatra, is the closest city to the quake’s epicenter. The city has a population of over 220,000, and is situated some 500 kilometers away from the epicenter. Its port remains open, a local official said. Aceh province was the main victim of the massive 2004 quake and tsunami in the Indian ocean. In December 2004, a giant 9.1 quake triggered a tsunami in the Indian Ocean that killed 230,000 people, nearly three quarters of them in Aceh. April 11, 2012, Indonesia – A massive 8.7 quake rattled Indonesia’s Aceh province with aftershocks reaching as far as India and Thailand. 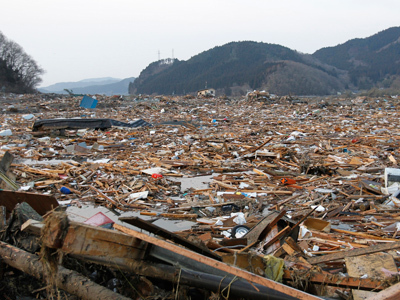 March 11, 2011, Japan – 15,000 people perished in a 9.0 magnitude quake that shook the Japanese island of Honshu. It caused the Fukushima nuclear crisis, the worst since the Chernobyl meltdown in 1986. February 27, 2010, Chile – A quake of 8.8 magnitude struck off the coast of central Chile, decimating coastal communities and claiming more than 500 lives. March 28, 2005, Sumatra – 1,300 people perished in a quake measuring 8.6 that shook Sumatra. December 26, 2004, Indonesia – 226,000 people were killed in a tidal wave caused by a 9.1 magnitude quake off the coast of an Indonesian island close to Sumatra. February 4, 1965, Alaska – A tsunami 35 feet high was triggered by an 8.7 earthquake. March 28, 1964, Alaska – A 9.2 quake struck Alaska, the resulting tsunami killing 125 people. May 22, 1960, Santiago, Chile – The Chilean capital was rocked by an earthquake measuring 9.5 on the Richter scale. It claimed 5,000 lives and left over 2 million homeless. November 4, 1952, Russia, Kamchatka – A 9.0 quake in Russia’s Far East caused a tidal wave to buffet the coast of Hawaii. There were no casualties. January 31, 1906, Ecuador – A tidal wave triggered by an 8.8 strength earthquake killed at least 1,000 on the coasts of Ecuador and Colombia.